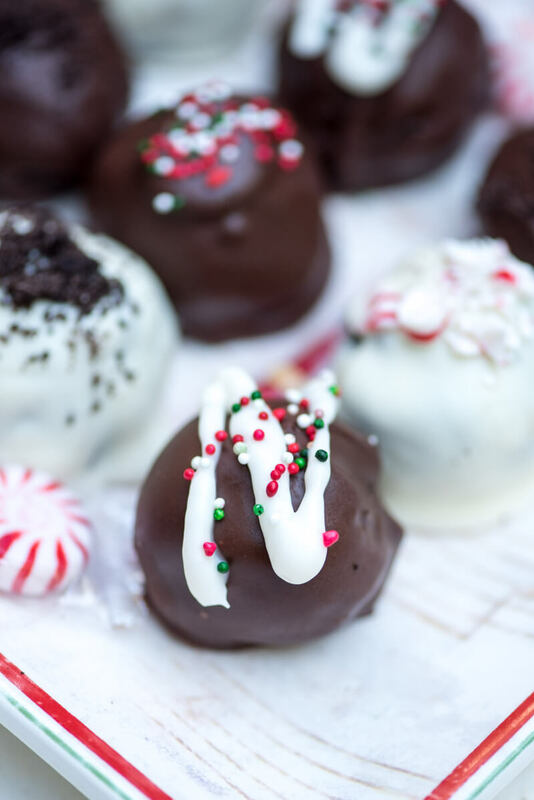 These party balls are the perfect bite-size treats to serve up at your holiday soiree. 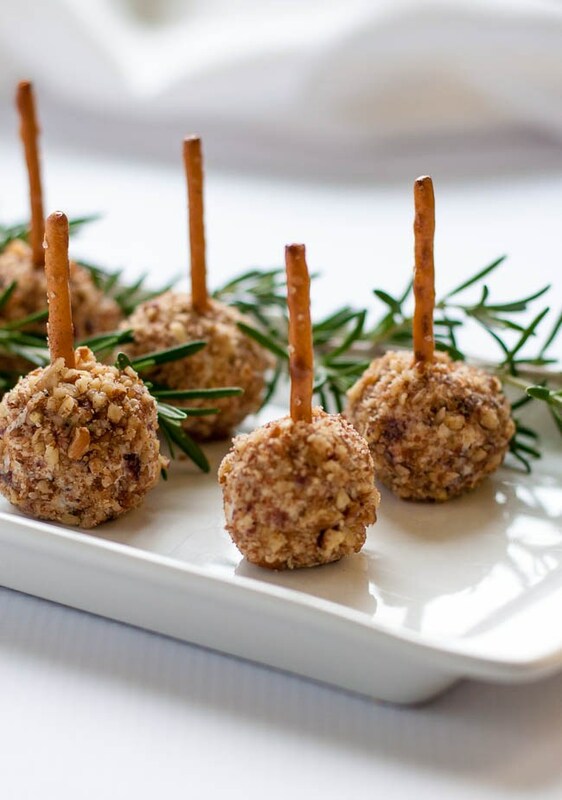 Savory cheese balls on a stick are a finger food the whole party can get behind. 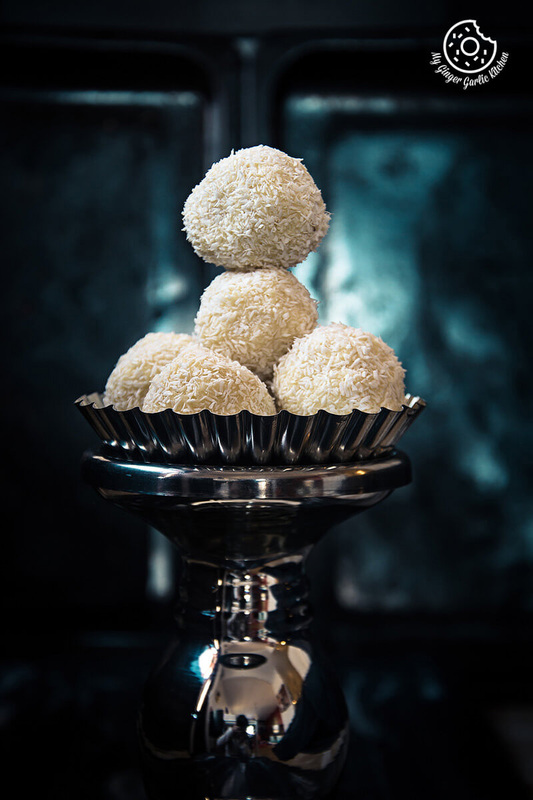 Coconut and white chocolate truffles are like edible snowballs for you and your party guests. 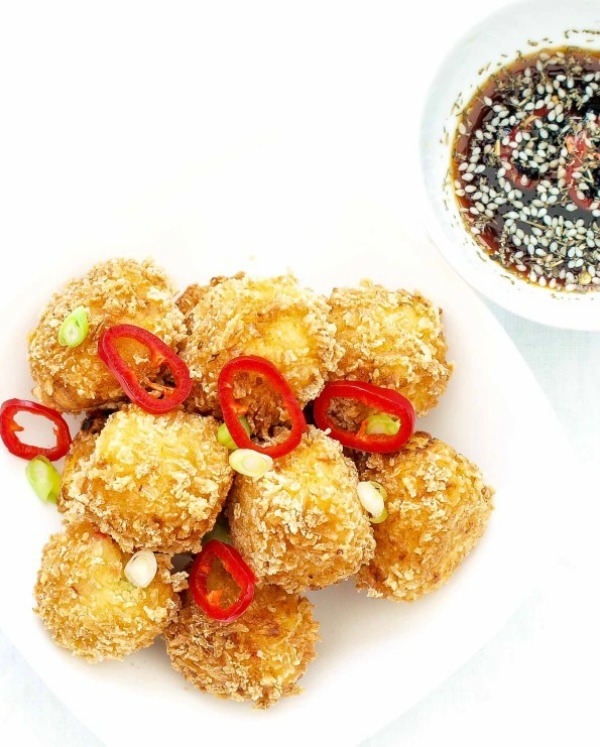 Served with a soy dipping sauce, these crispy chili crab balls are the perfect accompaniment to holiday cocktails. 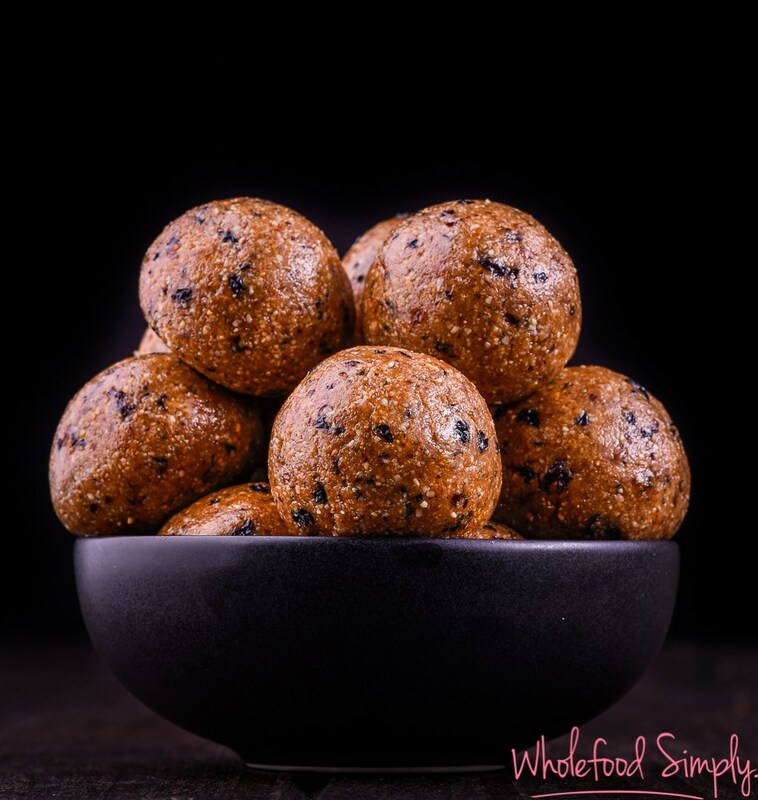 Almonds, honey, currants and spices make these healthy balls taste just like Christmas cake. 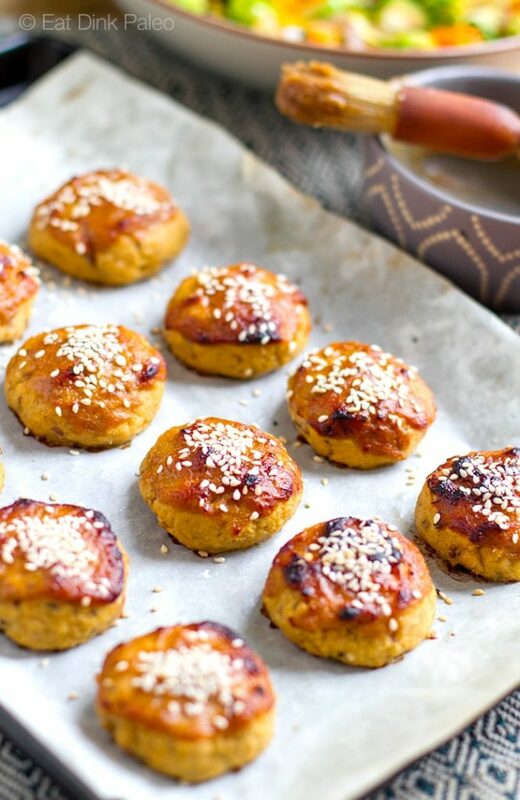 Glazed with honey, miso and tamari, these salmon balls are a savory snack that hits all the right notes. 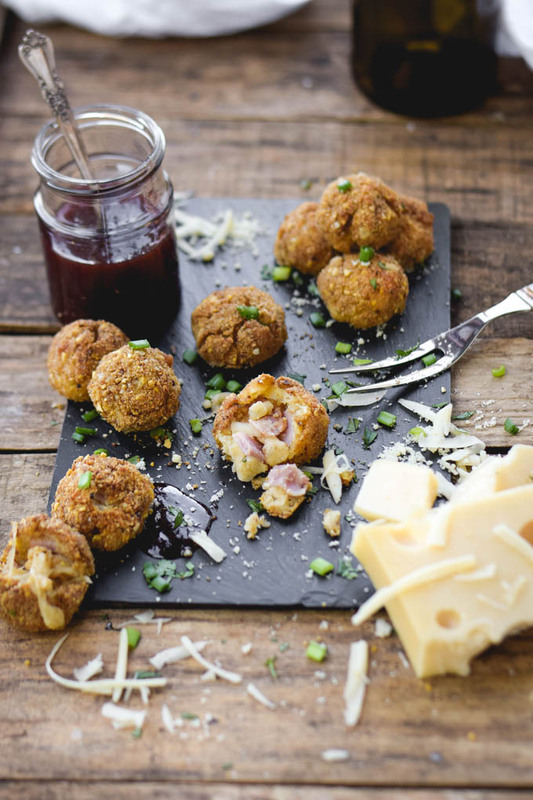 Stuffed with ham and cheese, these crispy potato balls are served with cranberry jam. 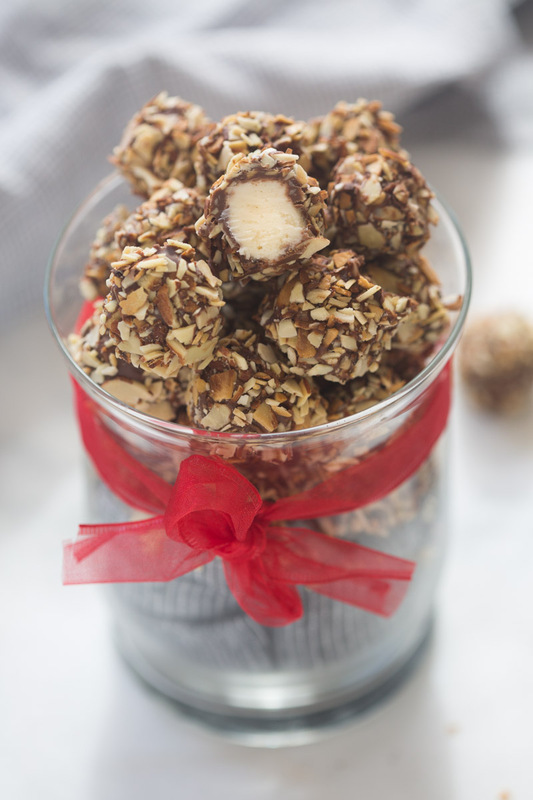 Melt-in-your-mouth vanilla créme is coated with chocolate and almonds in this truffle recipe. 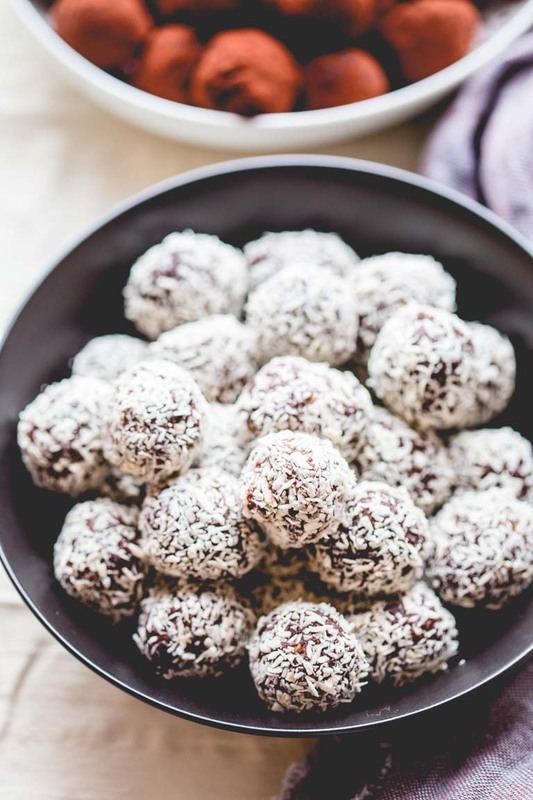 Have a healthy option on your dessert table with these vegan no-bake gingerbread energy balls. 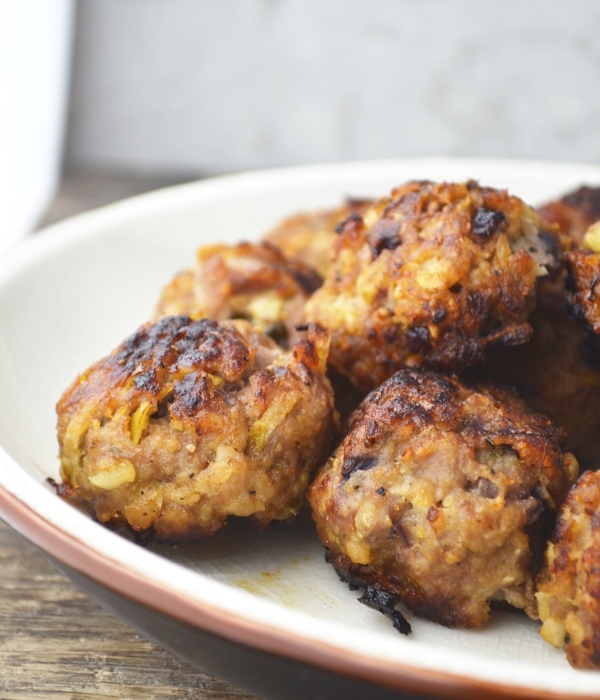 Salty, spicy sausage is tempered by sweet apples and fragrant rosemary in this recipe. 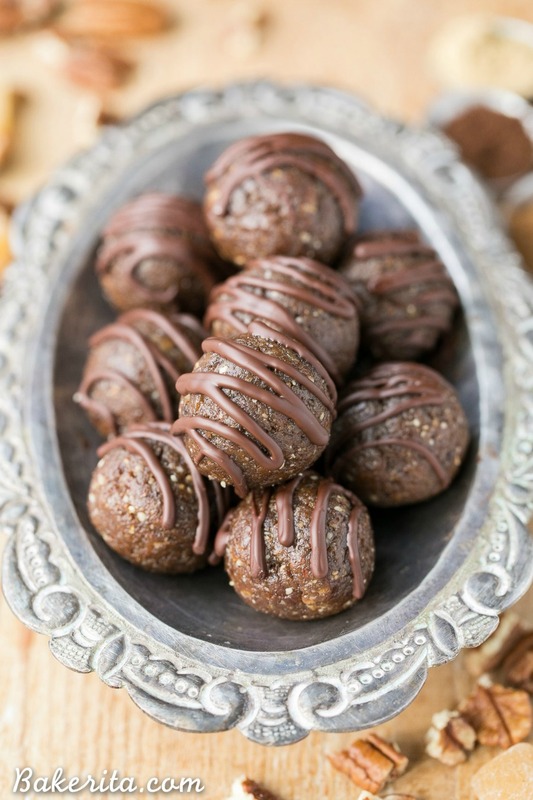 Flavored with clementine zest and cocoa, these rum balls will melt in your mouth (and get the party started). 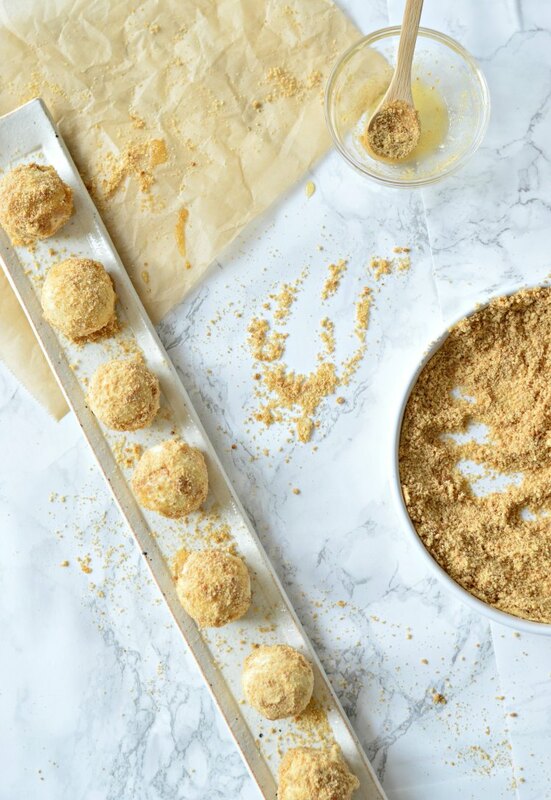 You won’t be able to stop snacking on these mini cheesecake bites — just try to leave some for your guests. 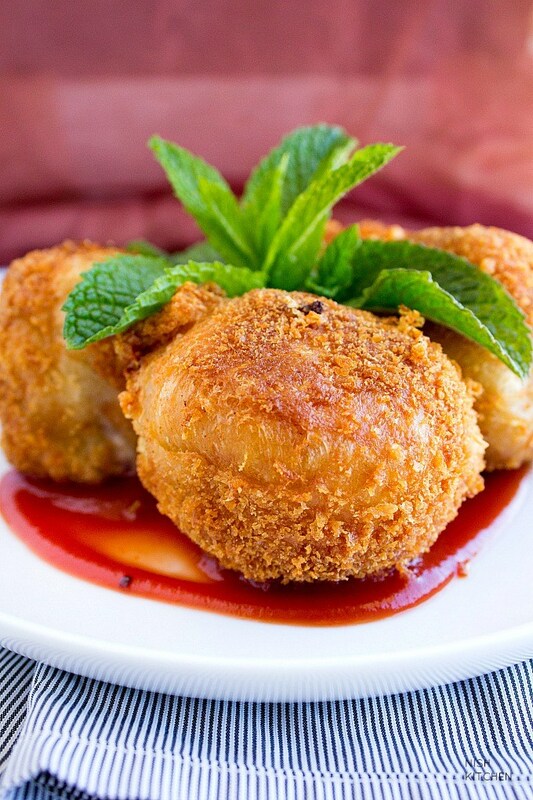 Stuffed with cheese and veggies then fried — what’s not to love about these cheesy bread balls? 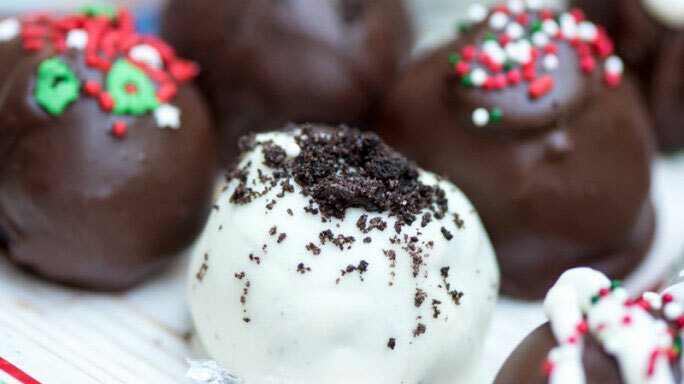 Skip the fussy desserts and serve up these sweet Oreo cookie balls instead. 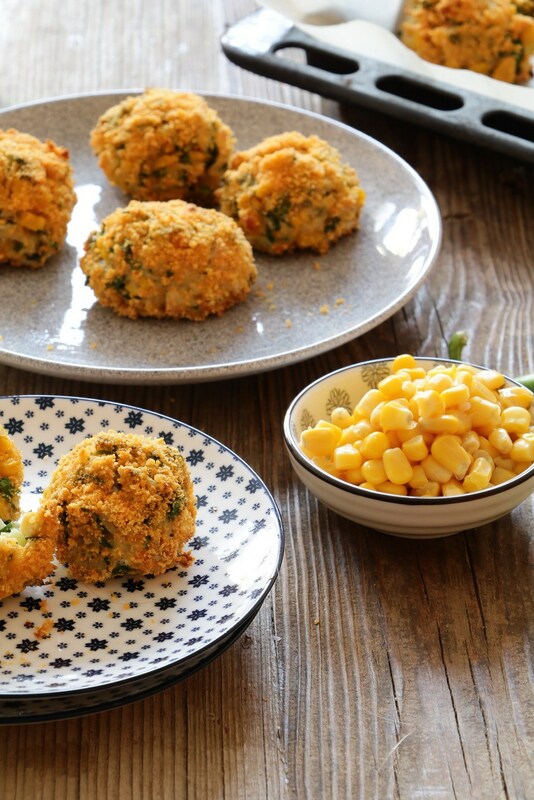 Rice and corn balls get crisped up in the oven to create a perfect party bite. 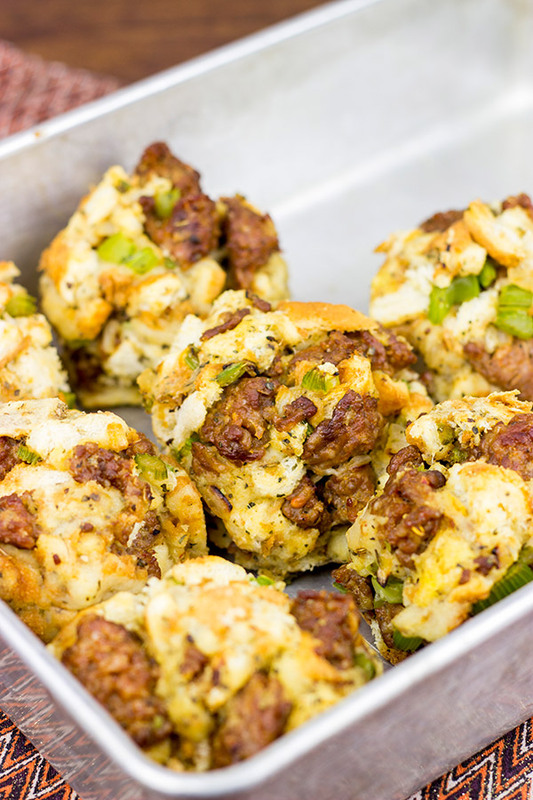 Savory stuffing balls loaded with Italian sausage and spices are sure to be a hit at your party.